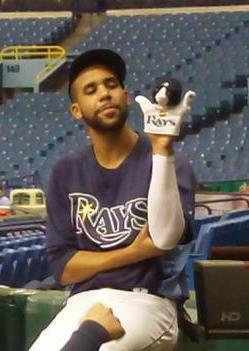 Tampa Bay's David Price calls out TBS' "Nerds"
David Price can be a bit testy. After giving up 7 runs to the Boston Red Sox in Saturday's American League Division Series game, Price watched TBS' postgame coverage and got surly after hearing analysts Tom Verducci and Dirk Hayhurst break down his pitching. The Rays pitcher went on Twitter to express his frustration over what he thought was unnecessary criticism of his performance. Maybe it was due to Hayhurst wearing a bowtie and vest on the TBS set, but Price went after Dirk who was a relief pitcher in the major leagues and Verducci who apparently was a high school jock according to Sports Illustrated's Richard Deitsch. @Lana The irony is Tom was an All-State (or close) wide receiver in HS. Probably loved water as well. We save the last word for TBS MLB Postseason studio host Keith Olbermann who responded by saying Verducci was actually defending Price's pitching. Well, needless to say we know what TBS will lead with in its pregame show today.